Immediately following routine dental visits, teeth feel clean and smooth. They look bright and shiny, too. But just because teeth look and feel great after a dental appointment is no reason to neglect them in between dental visits. Daily maintenance is necessary for a healthy smile! Not only does taking excellent care of your teeth in between dental visits keep them looking good, but it also leaves you less susceptible to decay and other common oral health issues. Maintaining your teeth at home does not require extraordinary effort. With just a few minutes of attention each day, you stand a good chance of keeping your teeth in good shape for many years to come. Certain types of food and beverages make teeth susceptible to discoloration and decay. The best items are those rich in vitamins and minerals and low in sugar. We recommend avoiding food and beverages that are high in acid such as fresh limes or lemons, or sour fruit snacks, and items that are ultra-sticky such as caramel and taffy. If chewing gum hurts your teeth or jaw, you should avoid it. But if gum does not pose any potentially painful oral health issues, chewing a stick after eating can help remove plaque and reduce the development of tooth decay. Besides improving your breath, gum has many benefits, as long as you choose the type that’s sugar-free. It’s easy to avoid routine dental visits and teeth cleaning appointments when your mouth feels healthy. However, bi-annual dental visits allow us to keep tabs on your teeth and gums. It’s always beneficial to catch impending oral health issues as soon as possible. This makes treatment quicker, simpler, and less expensive. Your oral health has a direct impact on your overall health. The team at Washington Court House Dental wants you to enjoy a lifetime of healthy teeth and an attractive smile. 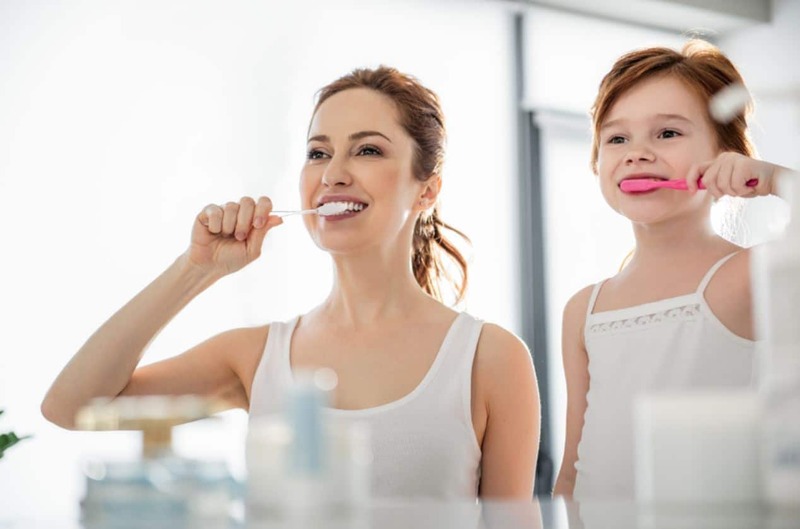 Routine dental visits are vital to maintaining the health of your teeth, and taking care of your teeth in between appointments is just as important. Each time you’re here, we’ll give you tips and advice on keeping your teeth in great shape in between visits. If you haven’t seen a dentist recently, give us a call. It’s never too late for a routine check-up and professional cleaning!